Suburban Relocation System specializes in local moves throughout Washington, DC, Virginia, and Maryland. Whether you’re moving from one Alexandria neighborhood to another or across the Potomac, if you need a local mover, you can count on us. We provide local moving trucks and personnel from door to door, allowing for a well-orchestrated and professional local move. 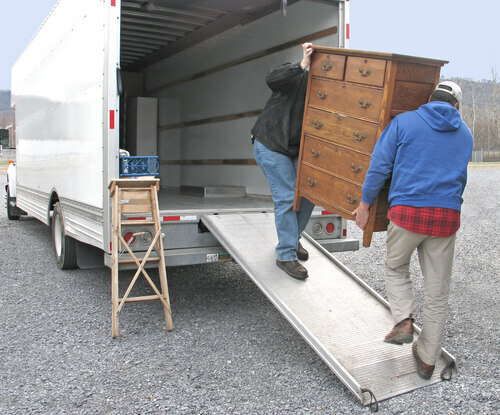 How Local Moving Works – Though less complex than long distance moving, a successful local move involves some advance planning to ensure that your belongings are moved in the most efficient and safe manner possible. At the same time, you may need to vacate your present home before the new home is ready, making short-term storage an important consideration. Once we fully understand the nature of your local move, we’ll recommend the most appropriate services. After you’ve agreed to a moving plan, we’ll schedule and coordinate your move. You can rest easy knowing that Suburban Relocation System is on the job! Take the Stress Out of Local Moves – Local moves can be stressful, but they don’t have to be. Get Suburban Relocation System involved for your next commercial or residential local move in Maryland, Virginia, or Washington, DC. Contact us today to for a free quote.